Developed for golfers that want to maintain their skills. Constructed with our multi colored Late Spring texturized nylon and rolling at 10 on the stimp meter, this surface mimics the look, feel and speed of a high end country club. 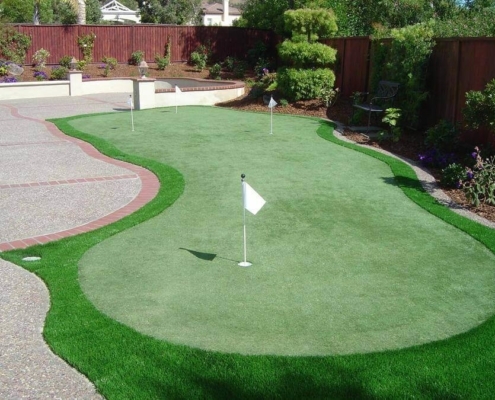 The Mesa Private Green is the ideal surface to maintain your game on. Should you choose the Mesa Private Green, your ideal second cut should be our Village Estate 50 since this is the perfect color match. For a third cut add our California Majestic 94 which is the perfect color match for the putting surface and the collar.